While I teach Sales in classes, never in my wildest dreams had I thought that companies would move on from SPIN and FAB selling techniques to a “Selfie Opportunity” selling strategy. I read about it today and felt the need to do some research on how companies are enticing their TG, the Millennials, and the - loaded with cash - Generation Z into stores to shop. Selfie: How did this become a verb / noun? In 1839, Robert Cornelius was the first person ever to click his own self. Since photography was a slow process, he had enough time between when he uncovered the lens, ran into pic position and then ran back again to cover the lens. In 1914, Grand Duchess Anastasis Nikolaevna of Russia at the age of 13 was the first teenager ever to take her own picture using a mirror. Oxford Dictionary defines Selfie as “a photograph that one has taken of oneself, typically one taken with a smartphone or webcam and shared via social media”. Its typically a term that got the status of an Oxford word in early 2000s and the title of “word of the year” in 2013. Obsession can be of varying degrees, with one extreme being the narcissistic level of a selfie a day, and the other extreme being losing weight and getting cosmetic surgeries done to look selfie perfect. This has led to an understanding amongst psychiatrists and marketers that there’s a huge connection between taking selfies and earning self-respect. People love to live in a world of illusion, and selfies help them reach the gates of that delusional world. 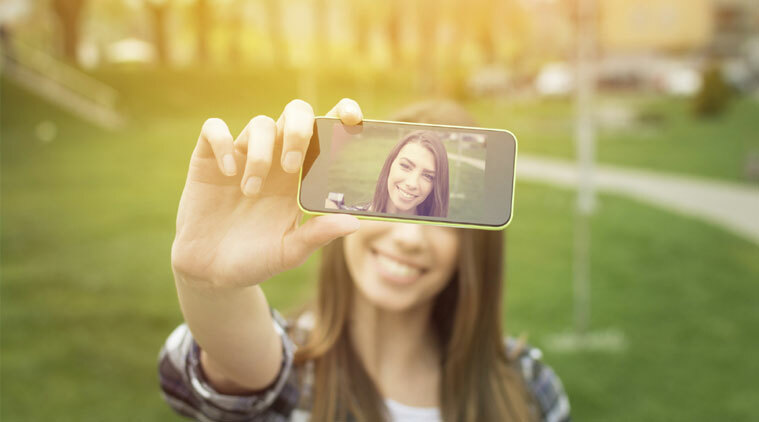 While it’s a worrying trend, marketers have recently started using “Selfie Moments” for attracting people to shop, by creating selfie-friendly zones. About a year ago, Rajneesh Mahajan, executive director of Inorbit Mall observed, the craze amongst mall visitors of clicking selfies with a Heart-shaped bonsai (Economic Times, dated 19th Dec 2016). He realized that anything quirky attracts youngsters to click selfies at an innovative selfie spot. Most mall managers have gone ahead and set up such selfie spots, which are innovative and draw audience to the mall for a click. I noticed one such spot in Ambience Mall on the 4th floor where a huge dinosaur has been placed, and people are busy clicking selfies with that grotesque creature. Will this lead to an increase in footfalls in malls and inside stores? A question store managers are not even hazarding an answer to! According to selfies posted on Instagram and Facebook, Select CityWalk in New Delhi is one of the most “Checked-in” places online. Yet brands are unsure of the upswings of such a trend. Well neither are we. And as many say, Selfies is a fad that may soon outlast it’s day under the sun.